Epoxy mortars are typically installed from 1/8 to 1/4 inch thick. 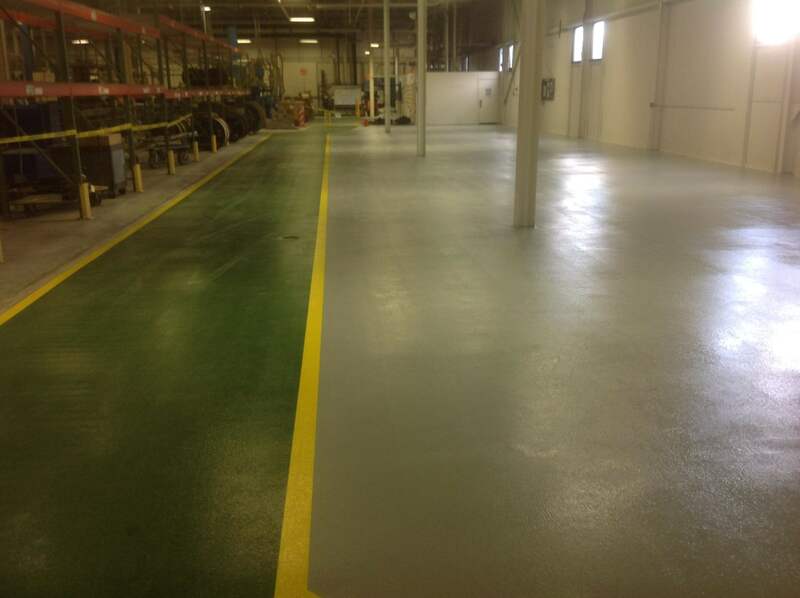 Epoxy resurfacers are a heavy-duty product used to resurface concrete floors. 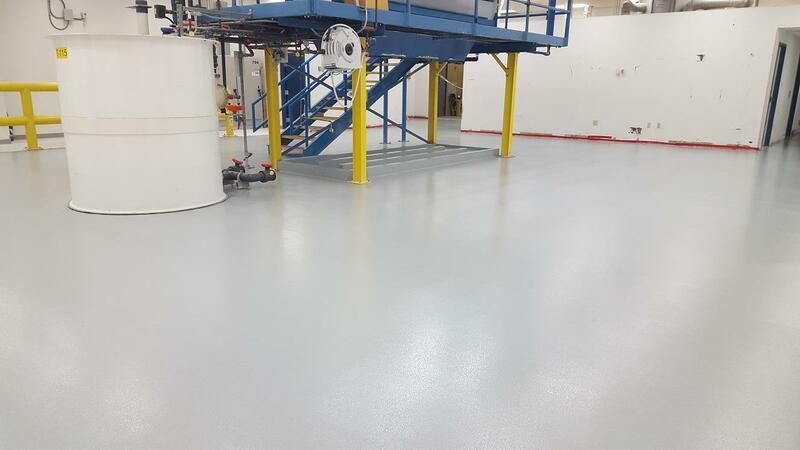 This results in a 10,000+ psi strength floor with excellent chemical resistant properties. This makes epoxy resin floor screeds suitable for a broad range of applications.Screeds are designed to be much harder wearing than standard concrete and can withstand aggressive chemicals such as acids and alkali. They exhibit anti-slip properties and come in a variety of colors. Mortars are hand and power trowel applied. Typically used for simple joint restorations or up to a ¼ inch application to an entire concrete surface. Our products can also be used for pitching purposes. A 3/8 stone can be added to fill areas deeper than ¼ inch. For ¼ inch applications, we distribute by a custom screed box. 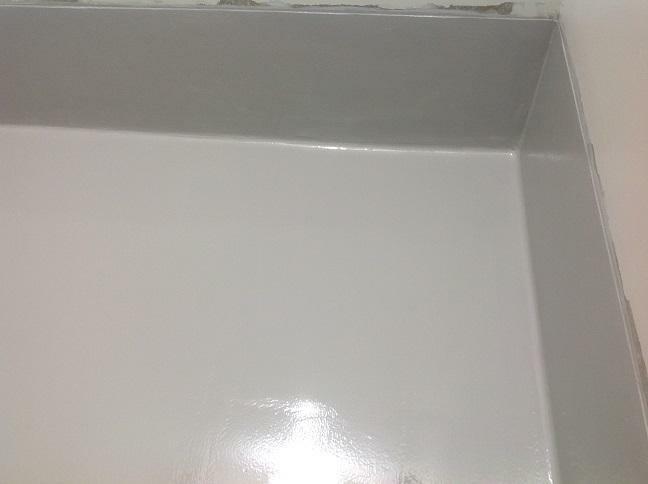 This epoxy resurfacer is normally sealed with an epoxy mid coat and a urethane topcoat but can be applied to any of the flooring systems Concrete Restorations Inc. installs.